A new model that will be avalable in 2013. The South Shore is a designed as a step up nose rider. 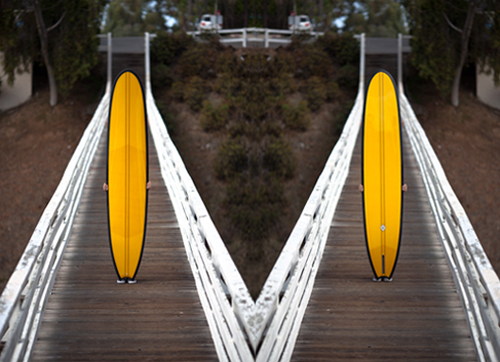 With the wide point back and subdued hips in the tail this board is made to turn. The pulled in nose and directed curve forward of center are intended to cut down on swing weight as well as water contact streamlining the outline. The South Shore was also designed with a flat forward rocker to increase trim speed and nose control and an exaggerated tail kick to ease turning. The bottom contours feature a subtle nose concave, rolled bottom and a pronounced V in the tail. All working together to create a nose rider that stands up in larger conditions.